A basic understanding of state tax nexus is necessary for any business that provides goods or services to customers in more than one state. Simply put, "nexus" refers to the degree of connection between the business and each of these states. If the connection is sufficiently great, the state can require the business to pay income or other taxes on revenues derived from state residents. The business may, also or alternatively, be required to collect and remit sales taxes from its customers in those states. A business has traditionally been deemed to have nexus with a state if it has a physical presence within that state. This typically means that the business’ employees or agents spend a material amount of time in that state, or that it leases or owns real or personal property in that state. This is known as having "substantial nexus," to use the terminology of the United States Supreme Court. The Supreme Court reasoned that the state could require "a return" in the form of tax payments if the business had access to state-provided resources such as paved roads and fire and police protection. In the years since the Supreme Court last addressed state tax nexus (in a 1992 sales tax case, Quill Corp. v. North Dakota), many states have migrated from a "substantial nexus" standard to an "economic nexus" standard. Under an "economic nexus" standard, the question is no longer whether the taxpayer has a physical presence; rather, it is whether the taxpayer has an economic connection with the state. This migration has become more pronounced since the mid-1990s and the introduction of online retailing. States believe they are losing material revenues from untaxed sales. However, because Quill has not been overturned, taxpayers continue to argue that nexus requires a physical presence in the taxing state. Although several cases have been presented to it for review, the Supreme Court has not agreed to hear a nexus case since Quill. However, this may be changing. In a concurring opinion in Direct Marketing Association v. Brohl, a case decided earlier this year, Justice Kennedy called on the "legal system" to find a sales tax nexus case for the Supreme Court to review, calling Quill "doubtful authority" and stating, "[a] case questionable even when decided, Quill now harms states to a degree far greater than could have been anticipated earlier." Given both taxpayer and state interest in having the nexus issue revisited, it is more than likely that a case will be produced for consideration by the Supreme Court. Accordingly, it is possible that the physical presence standard could be eliminated within the next few years. States reacted favorably to Justice Kennedy’s concurrence, with one state Revenue Commissioner promising to "push the envelope" as far as he could with respect to the utilization of an economic nexus standard. However, the potential overturn of Quill presents many challenges, as well as opportunities. Though a relatively temporary problem, Departments of Revenue would likely not be prepared or staffed for the administration and collection of tax from remote sellers, creating headaches for the Departments and taxpayers alike. Remote sellers would be faced with a plethora of issues: to increase their sales activities in other states, where before they may have been more cautious (and to accordingly comply with the requirements of those state laws), or to curtail their activities so as to avoid a substantial compliance obligation; dealing with the mechanics and cost of compliance; and communicating with customers regarding the same, just to name a few of these issues. Interestingly, several bills have been introduced in Congress over the years with the goal of eliminating the physical presence standard and requiring sales tax collection by online and catalog retailers. The current pending legislation is known as the Marketplace Fairness Act, so called because its proponents seek a "level playing field" for in-state brick and mortar stores, which clearly have a physical presence and must collect sales tax, and for online/catalog retailers. • The Act exempts online sellers with less than $1 million in annual remote sales from the burden of collecting and remitting tax on such sales. The Supreme Court is unlikely to do this. • The Act further provides for a process for implementation. A state may either join a coalition of other states that have adopted a uniform set of sales tax statutes, or it may meet five "simplification mandates" that will ease the administrative burden for taxpayers. Included in these mandates is the establishment of a uniform tax base for use throughout the state and the providing of free software to retailers for managing sales tax compliance. No simplification of the law or special assistance to retailers would be required in the event of a Supreme Court decision. A final resolution of the issues noted in this article may be some years away, but any business that sells products or services outside of its "home state" should monitor developments closely so as to be able to prepare and plan for the future. 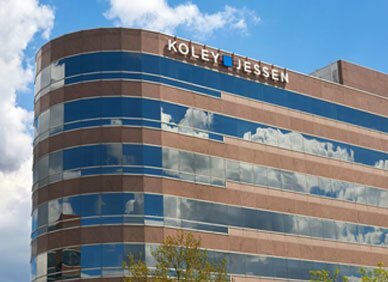 For further information please contact a member of the Koley Jessen tax team.